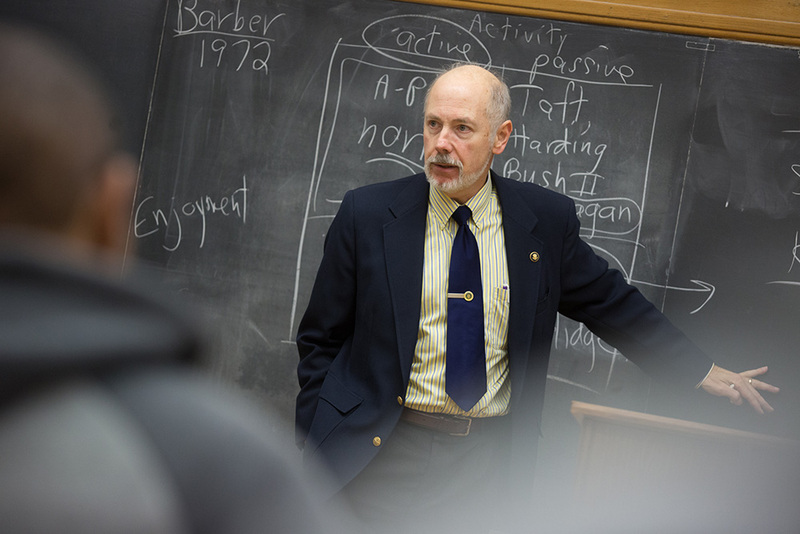 This major in the Political Science Department examines the broad range of concerns surrounding people and the power of government; it provides a strong grounding in American government, comparative/international politics and political theory. Political science majors are expected to complete a core curriculum covering the basics of U.S. and world politics, research techniques and political theory. In addition, students are expected to explore the different fields of political science through upper division course work. Finally, all students must complete a capstone course either through a seminar or internship experience. Students seeking to earn the B.A. in political science at SUNY Cortland plus a master's degree in public administration at Binghamton University are required to earn their 120 credit-hour B.A. in seven semesters. In the seventh semester, accepted students will take undergraduate courses at SUNY Cortland and graduate courses at Binghamton University. The first six credits earned at Binghamton will, when combined with a minimum of 114 undergraduate credit hours at Cortland, serve to complete the undergradaute degree. All degree requirements in the student's Cortland catalog apply to the B.A. This program allows motivated students to complete both their undergraduate and graduate degrees within one five-year time span. At least 15 credit hours of Political Science courses must be at the 300 level and above. Other POL capstone course with consent of department. The course loads for semesters one-seven assume that the student has no prior credit transferred into Cortland and takes no Summer or Winter session courses. Students have the option to lighten their loads by taking courses over the summer and during the winter break.